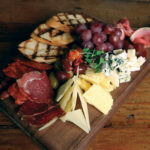 where can i buy azithromycin otc Tapas are popular for a good reason. 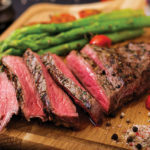 They always encourage socializing, because the focus is not on a full meal set before you, but on the ability to share many tasty plates throughout one dinner. 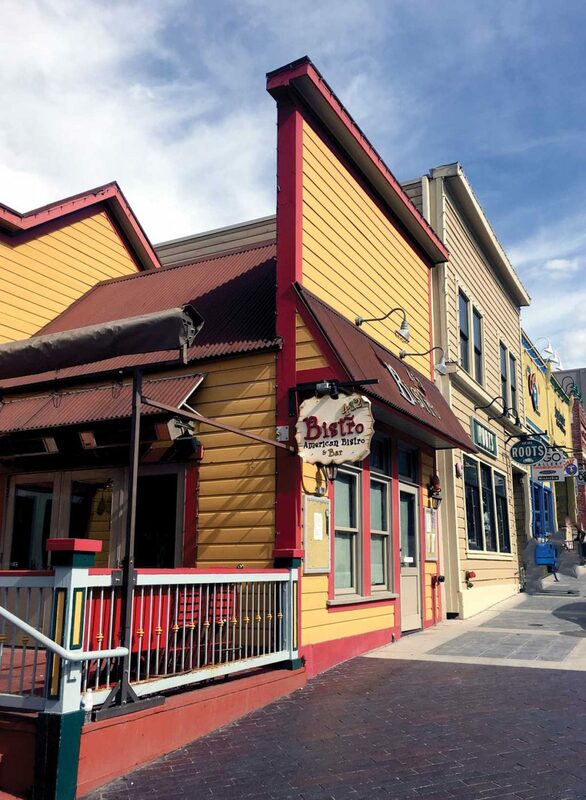 710 Bodega on Main fills that void for Park City. 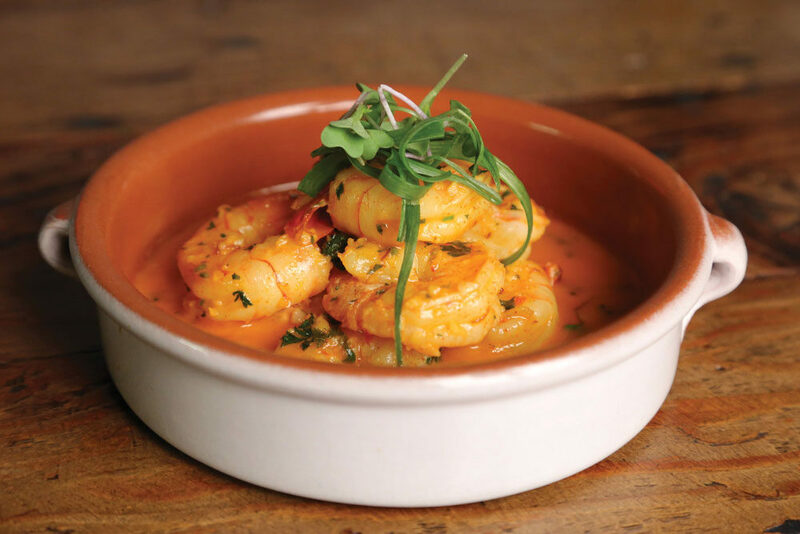 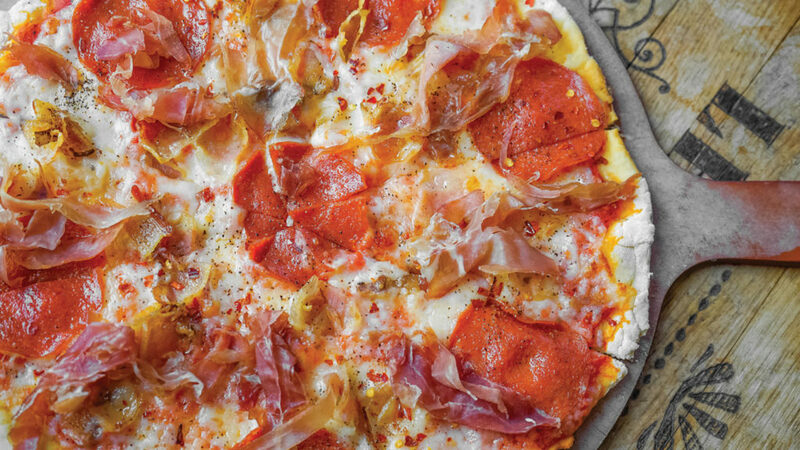 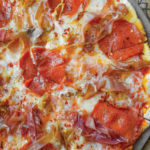 A summer vacation to Spain inspired restaurateurs Nicholas Smurthwaite and Paola Bello to open this modern-style Spanish tapas bar that mixes traditional plates with new twists. 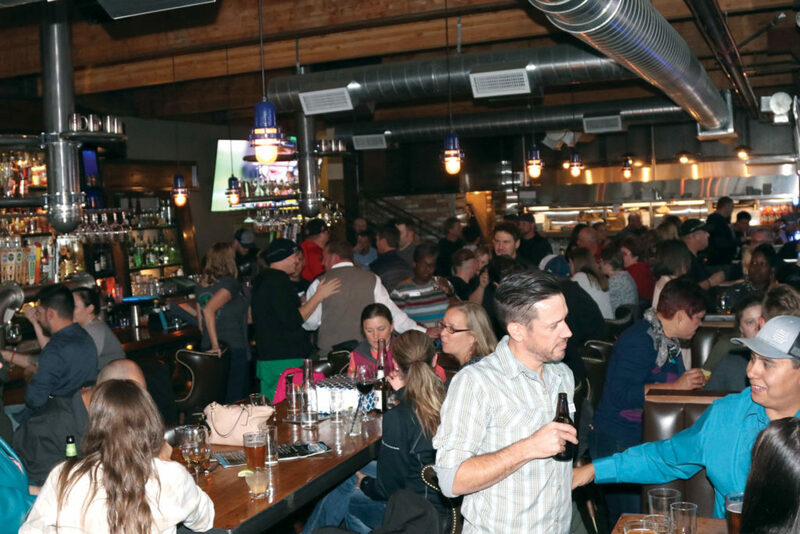 Just steps from Main Street, this lively outpost is a superb choice for a night out, whether that’s a large gathering or an intimate date. 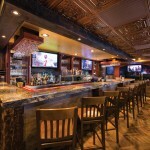 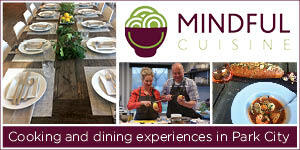 The concept is simple: good food, drinks and great service in a relaxing setting. 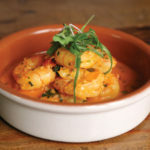 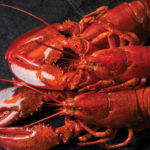 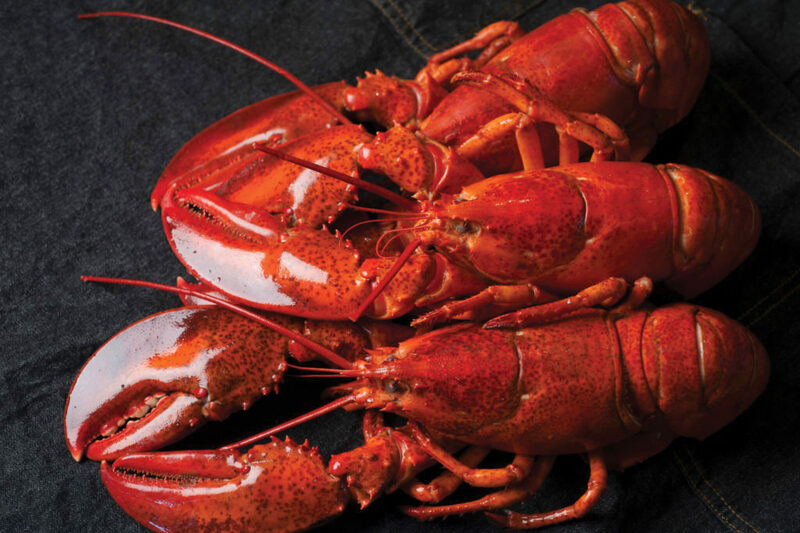 Favorites include clams, calamari, lamb lollipops, croquettes and the only paella in town. 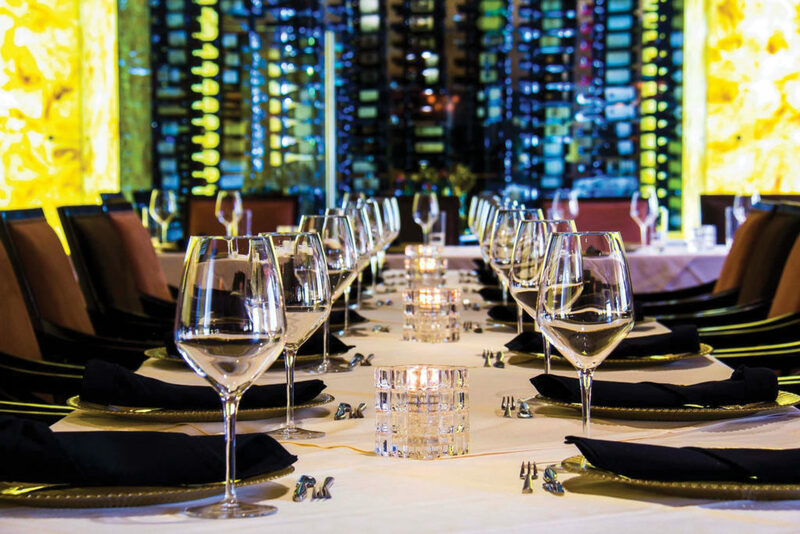 A healthy wine list includes several Spanish wines. 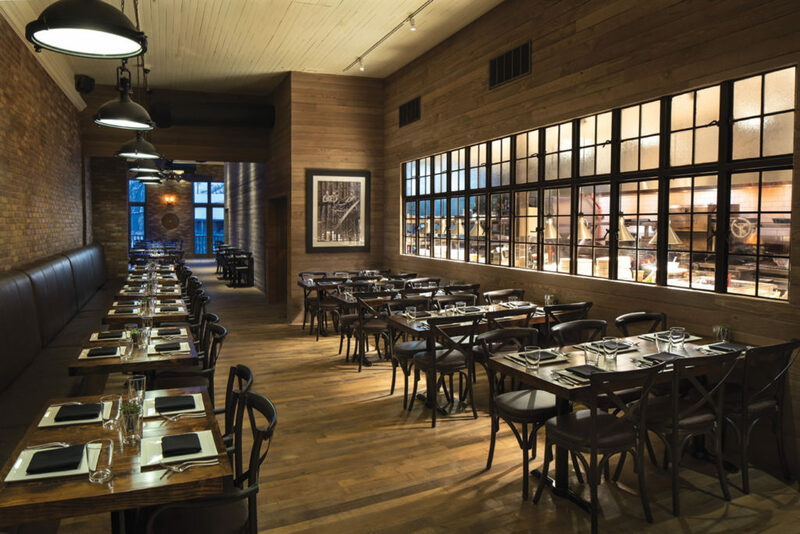 The rustic and welcoming vibe is achieved through the use of wood planks and metal — it’s both hip and cozy at the same time. 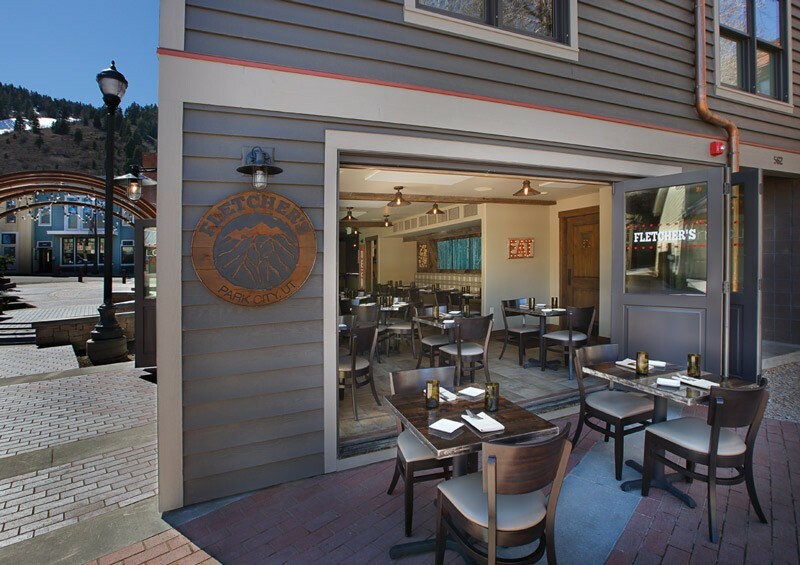 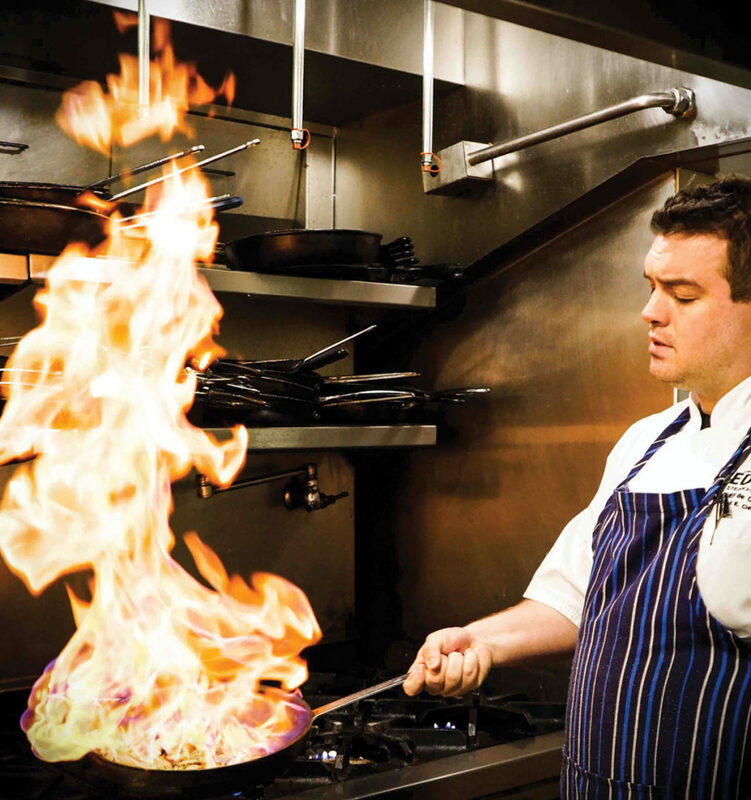 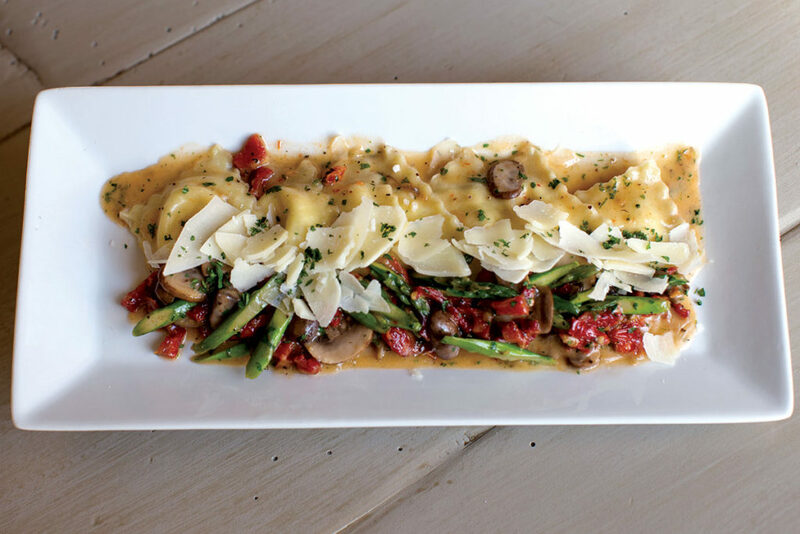 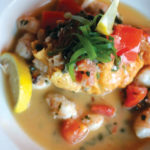 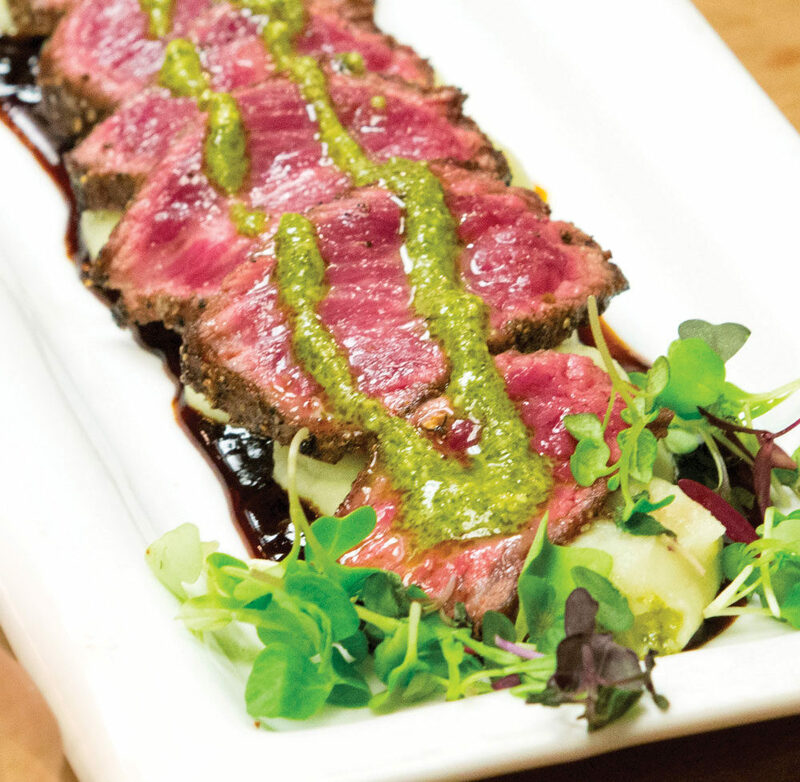 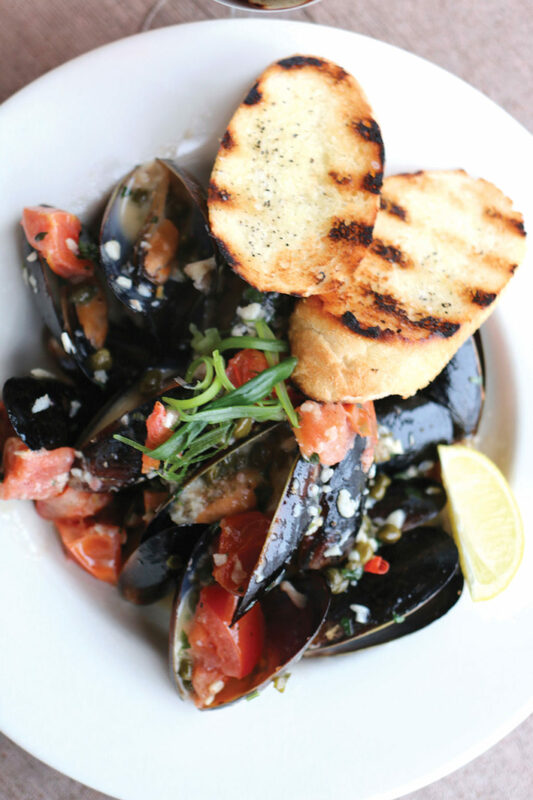 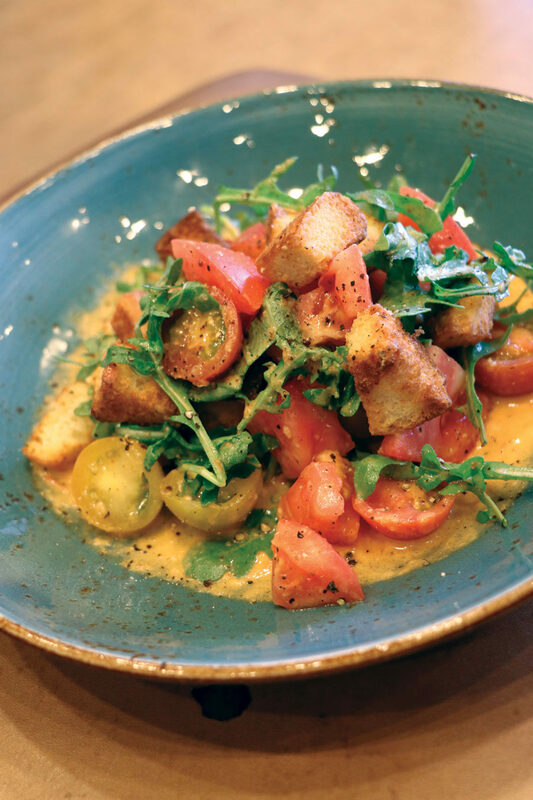 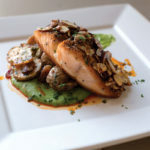 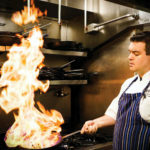 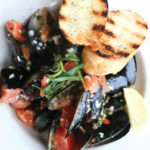 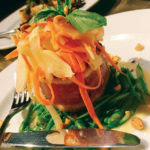 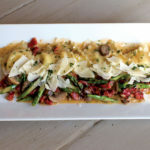 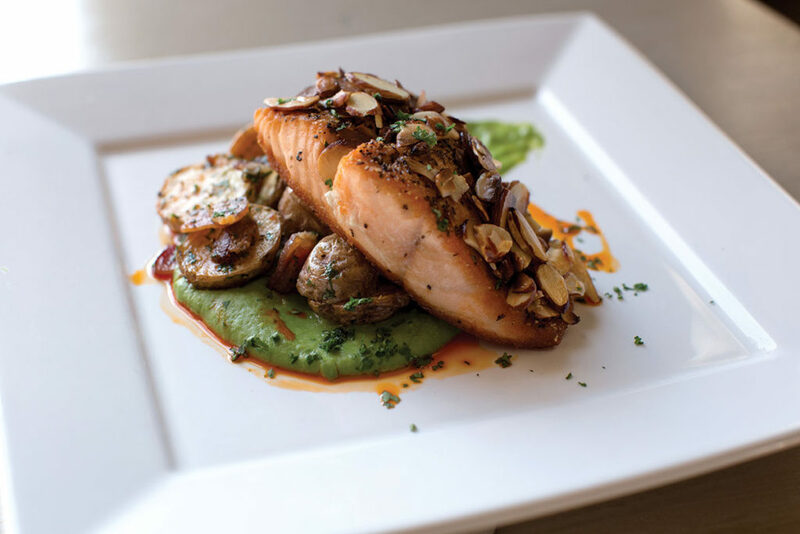 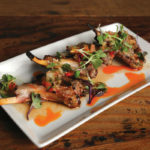 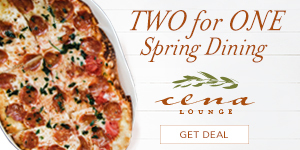 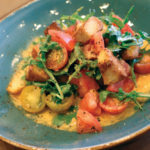 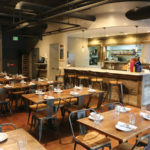 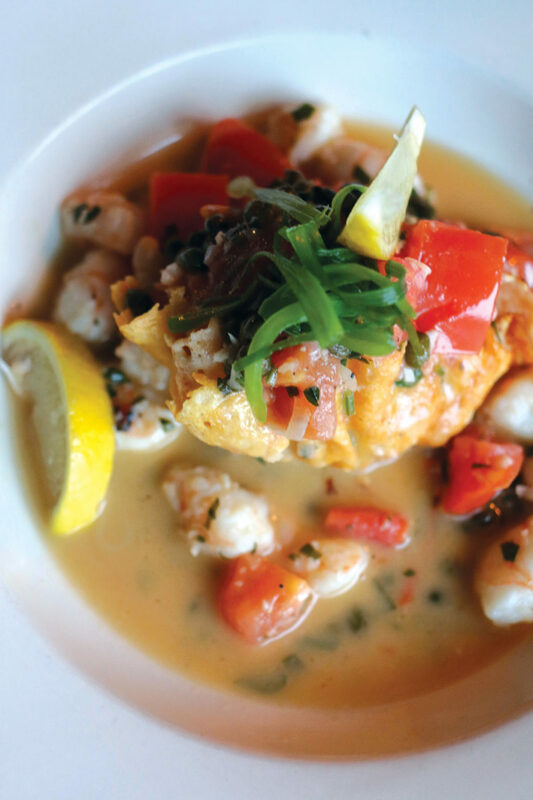 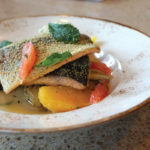 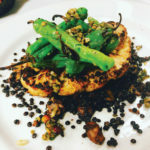 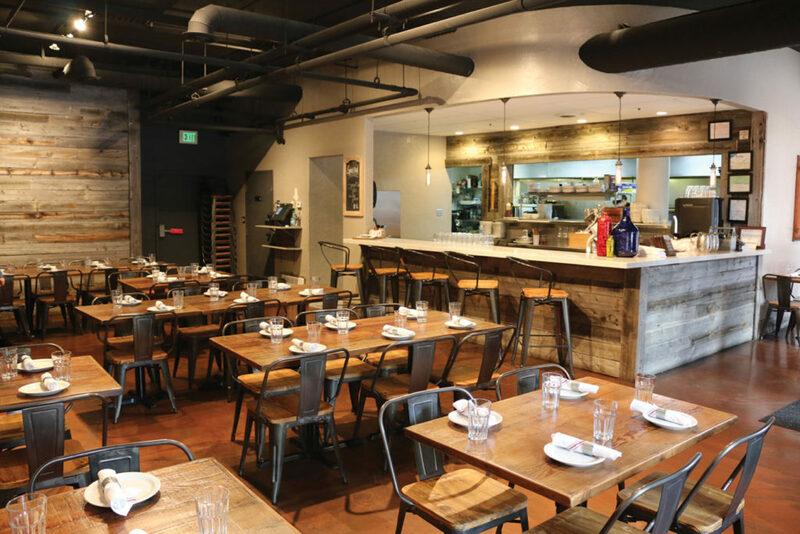 In the heart of Historic Park City, Café Terigo is a well-established family-owned restaurant where chef Ed Axtell and his daughter, Carly, prepare hearty dishes inspired by foods of northern Italy and southern France. 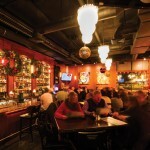 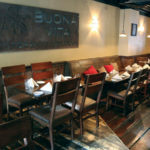 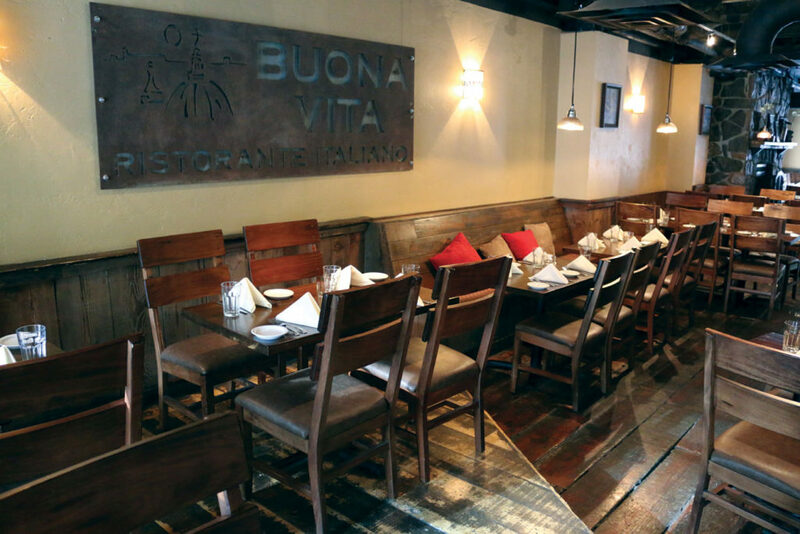 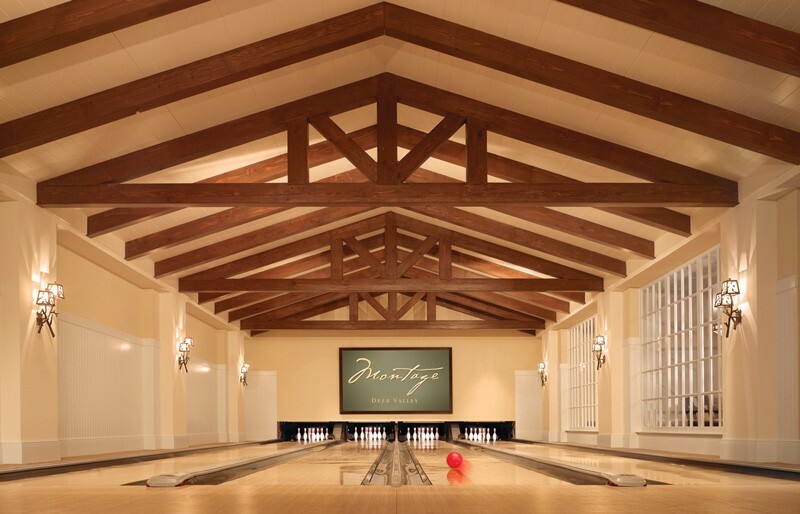 The atmosphere is cozy and timeless, affording intimate seating as well as large groups and private dining room options. 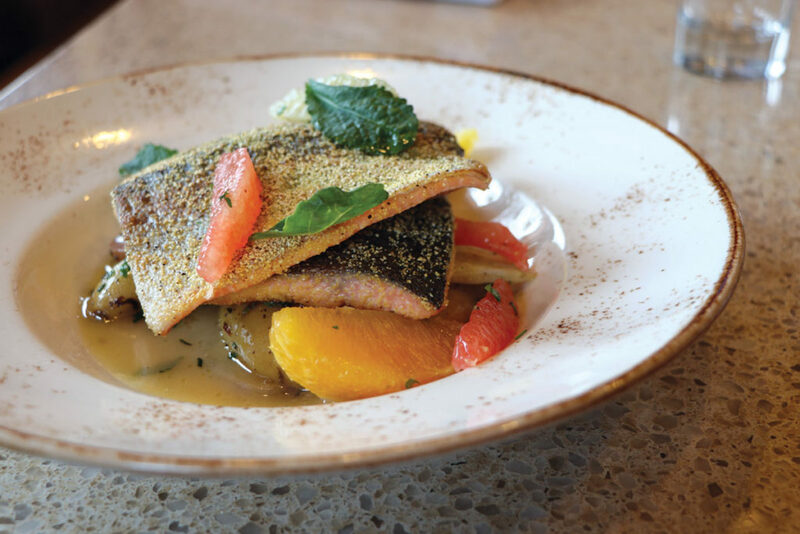 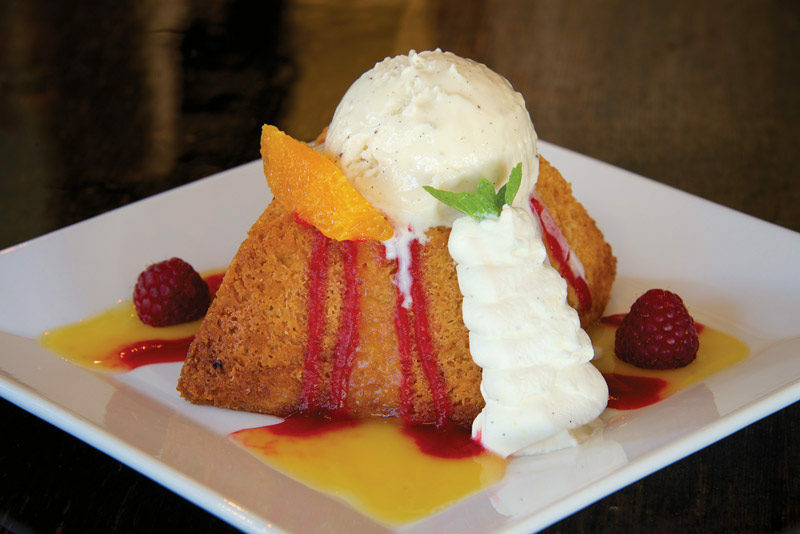 Local favorites include Herb Breaded Trout, a variety of fresh house-made pastas and their signature bread pudding with butter rum sauce. 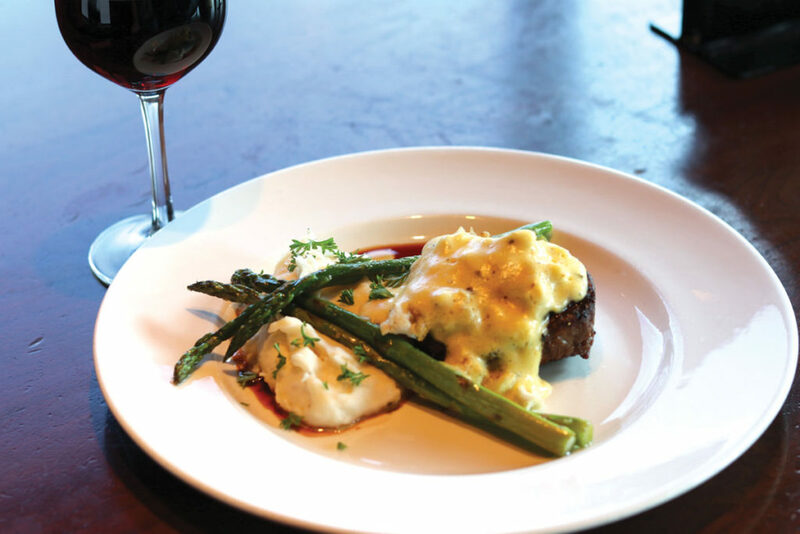 Café Terigo is a perfect spot to meet up with friends for dinner and a bottle of wine from their extensive wine list, or grab a quick lunch. 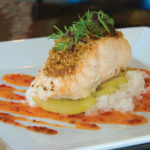 The good food and the familiar, friendly staff keep locals and visitors coming back year after year for a memorable experience. 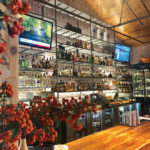 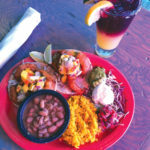 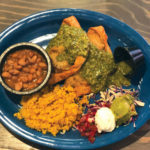 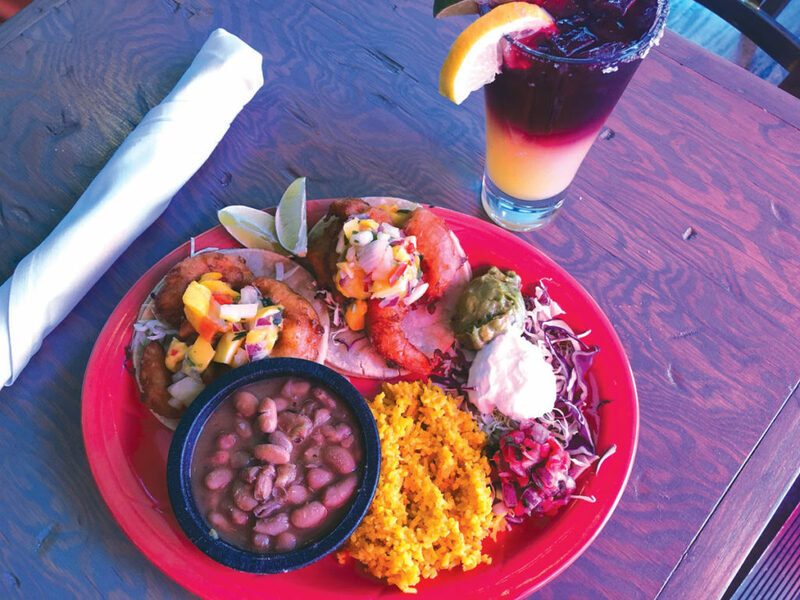 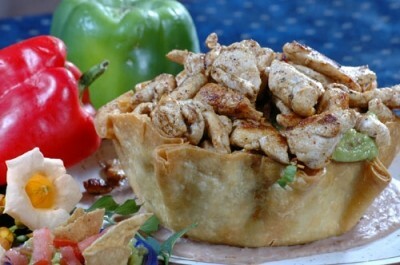 A Main Street hotspot, Crystal Park Cantina is serving up refreshing, unique twists on Mexican fare. 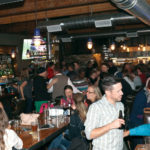 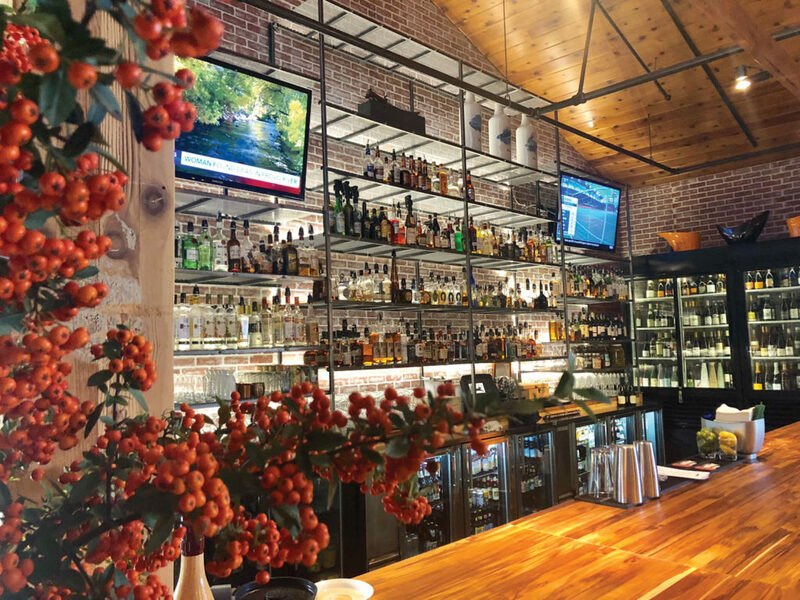 The light, comfortable bar space serves margaritas that showcase their signature, all-natural margarita mix with gently pasteurized lemon, lime and orange juices. 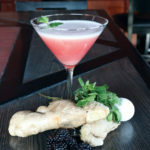 Also made in house are their simple syrups, utilizing organic cane sugars. 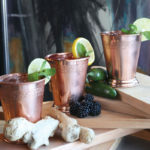 Taste the difference in the jalapeño cilantro margarita with fresh muddled cilantro and jalapeños, or their sangria margarita: a fusion of traditional Spanish and Mexican cocktails. 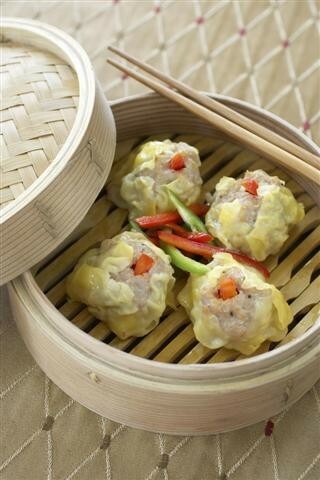 Similarly, the food flavors draw inspiration from multiple countries. 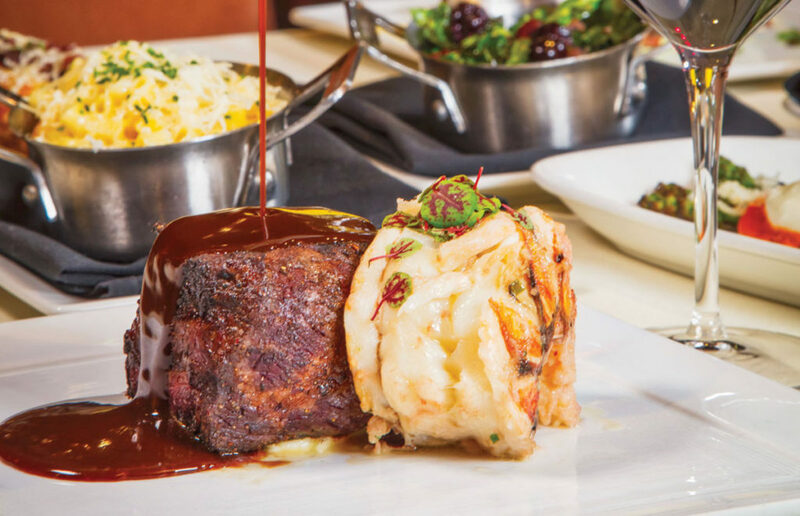 But everything is house made, from the saffron-infused rice served with all entrées to the authentic mole sauce. 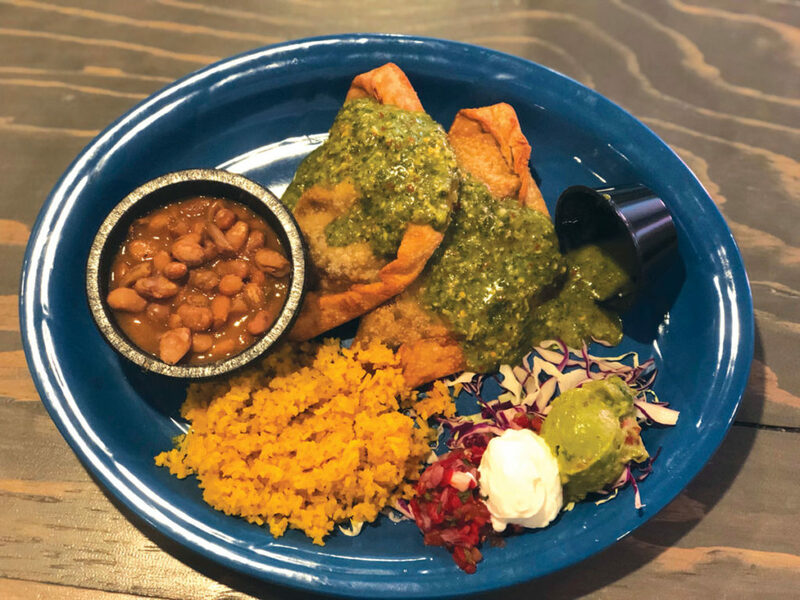 And if it’s just a big plate of nachos you’re looking to wash down with that margarita, you won’t be disappointed at Crystal Park Cantina. 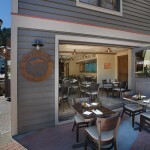 Everyone will feel welcome in this lovely spot offering breakfast, lunch and dinner with an American flair. 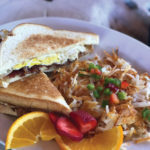 Fill up before adventures with a classic breakfast including biscuits and gravy or crunchy French toast. 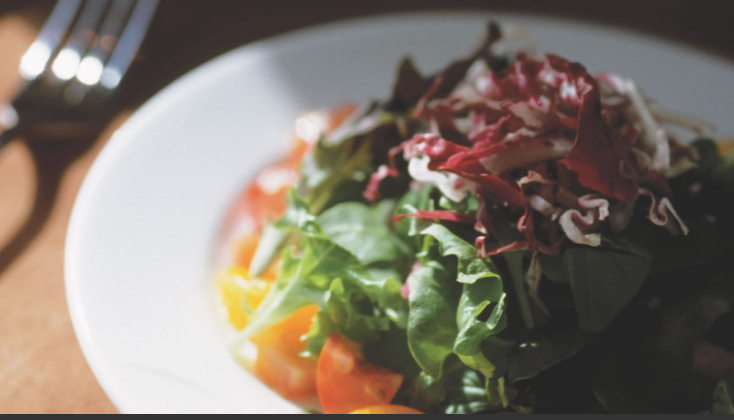 Lunch offers everything from salads to snacks to a selection of sandwiches and burgers. 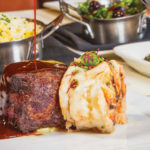 At dinner, treat yourself to flat-iron steak frites with mustard malt fries, Carolina-style barbecue ribs or the baked halibut. 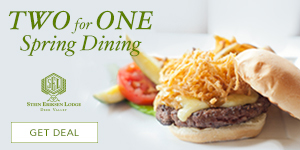 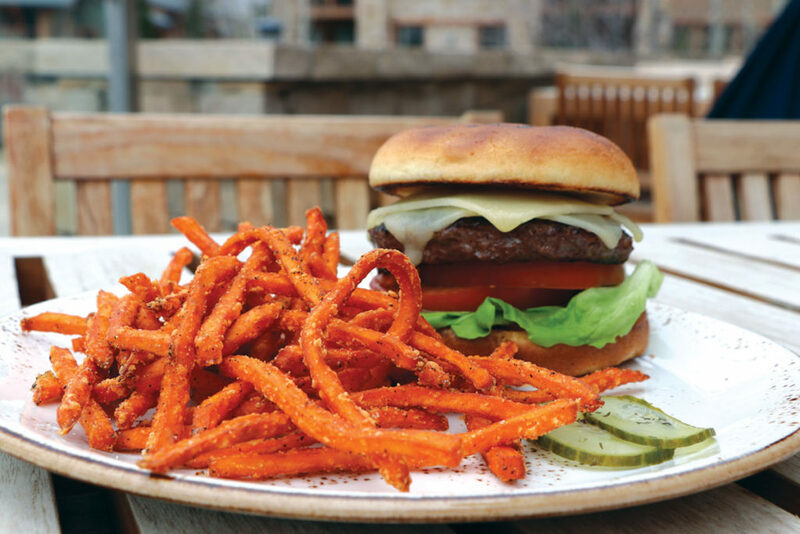 If you are looking for a snack, Timbers Bar and Patio has an upscale selection of options for lunch and dinner. 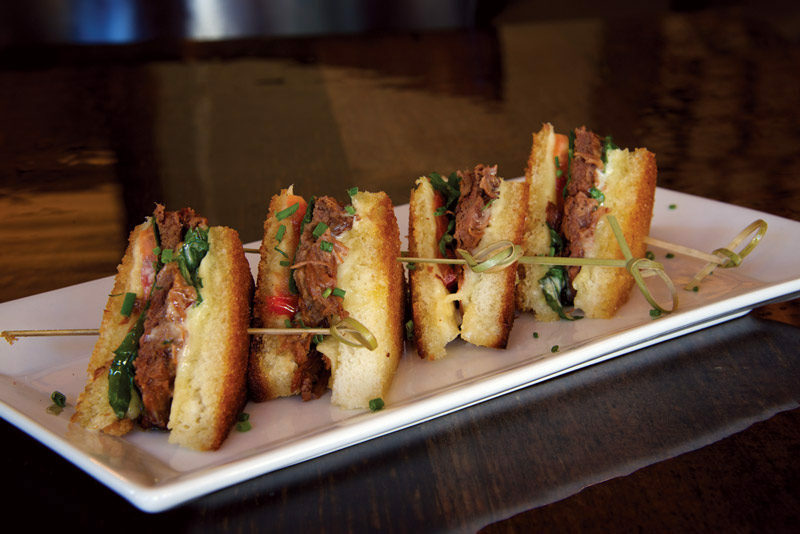 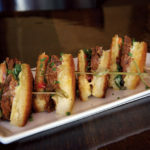 House favorites include the fried Brussels sprouts, signature Cuban sandwich and trio of sliders. 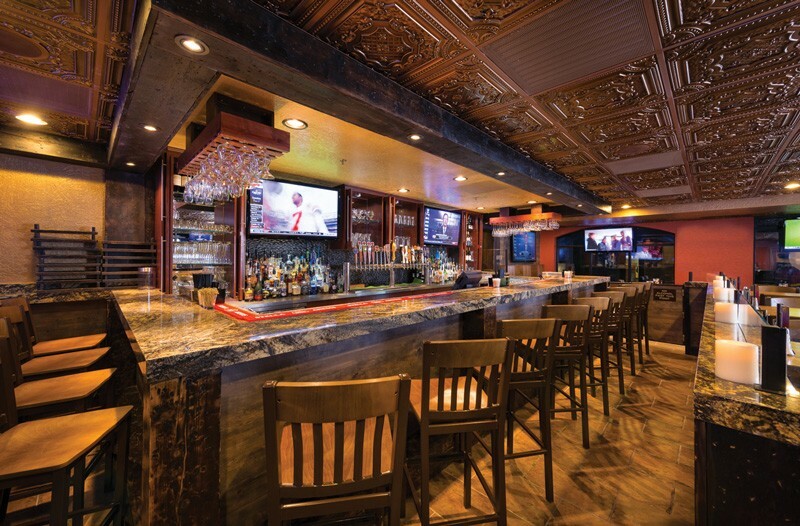 In the full bar, try an on-tap selection of proprietary beers from Mango Cart, Golden Road Brewery. 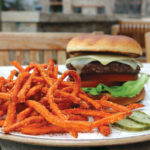 And don’t miss the s’mores you can roast in the fire pit outside. 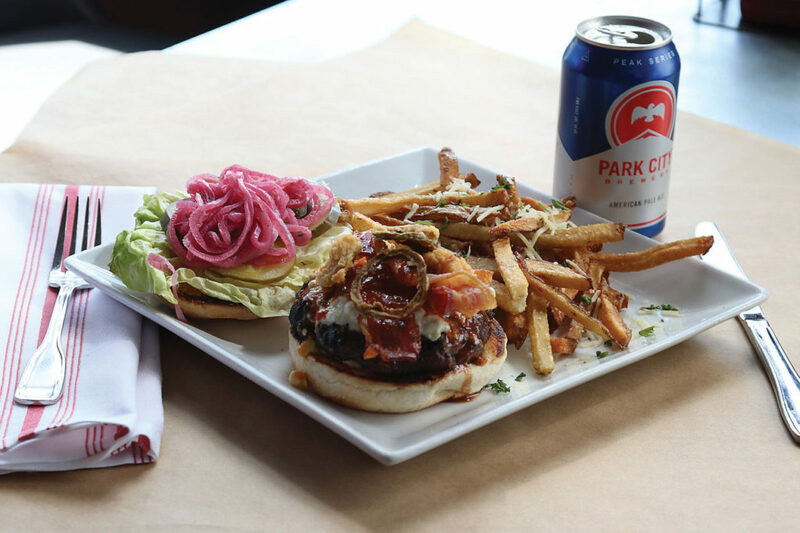 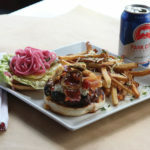 Finding made-from-scratch food at a burger bar is rare, but Drafts isn’t a typical burger bar. 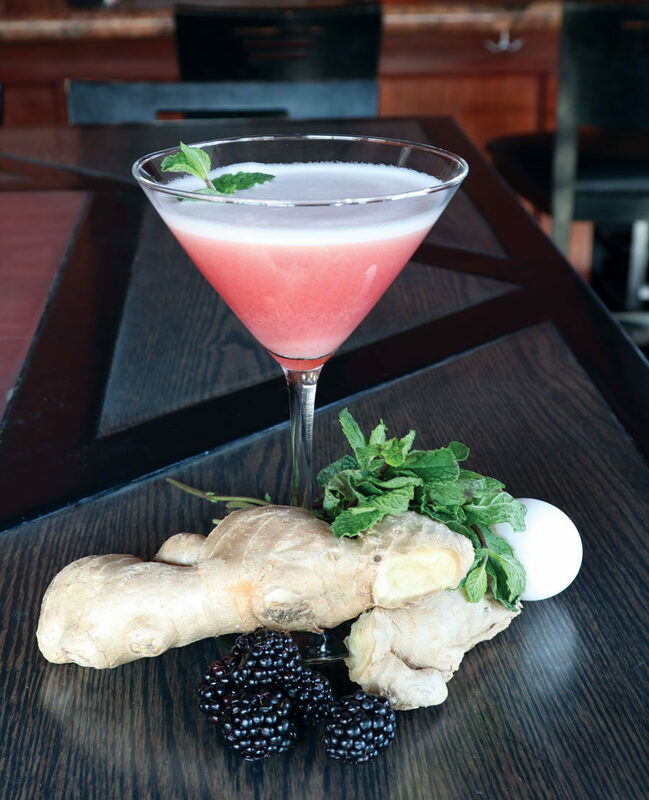 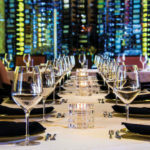 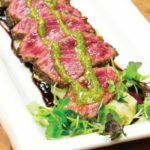 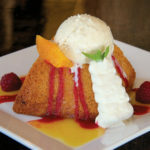 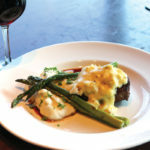 DBB at Westgate Resort gives its food a gourmet twist. 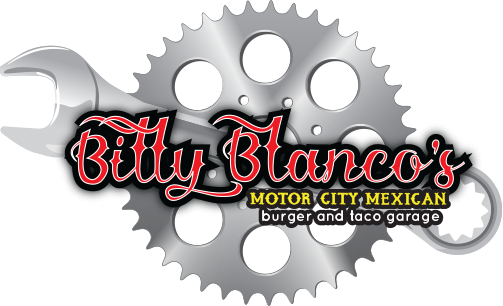 Don’t miss the Tatchos, tater tot nachos covered in smoky Gouda sauce, bacon, green onions and sour cream. 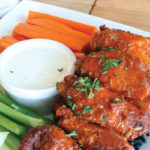 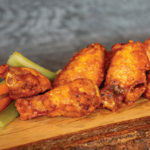 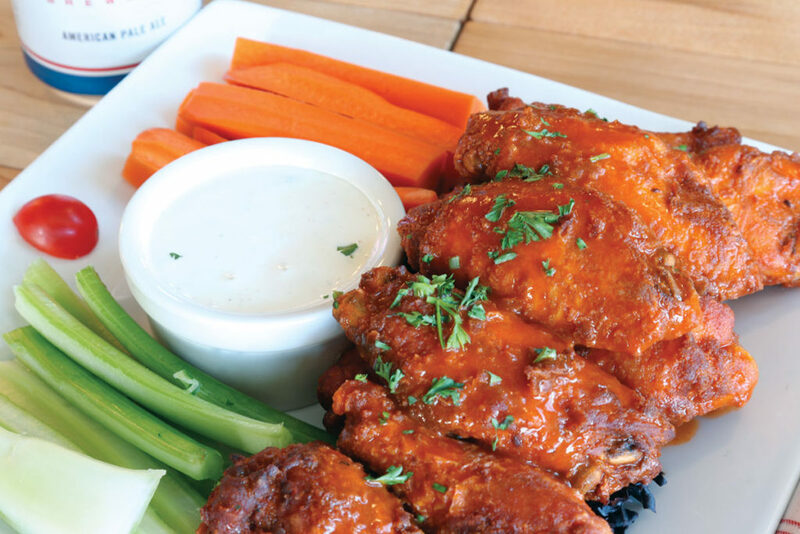 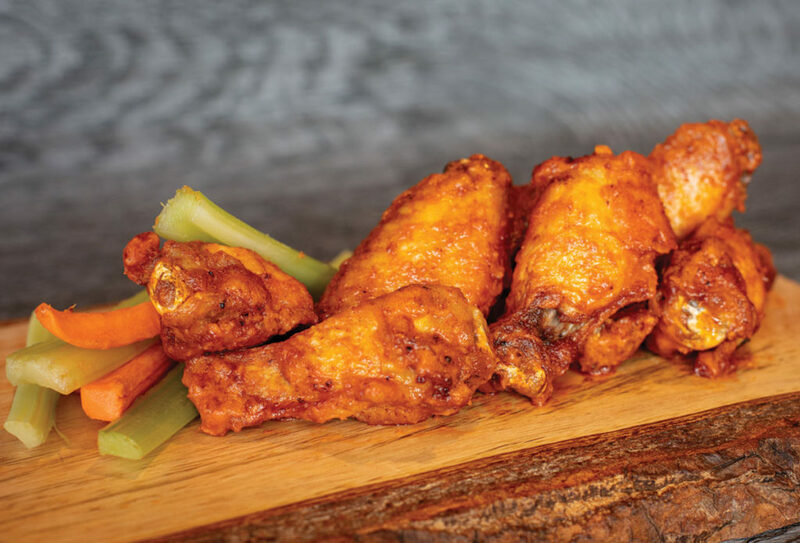 Order from seven types of wings – from the low-heat honey chipotle to the spiciest Queen of Versailles hot sauce, a personal creation from the queen herself, Jackie Siegel – plus handcrafted burgers and milkshakes. 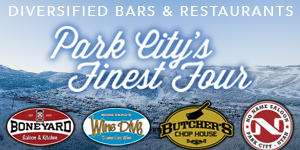 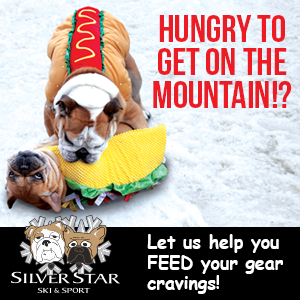 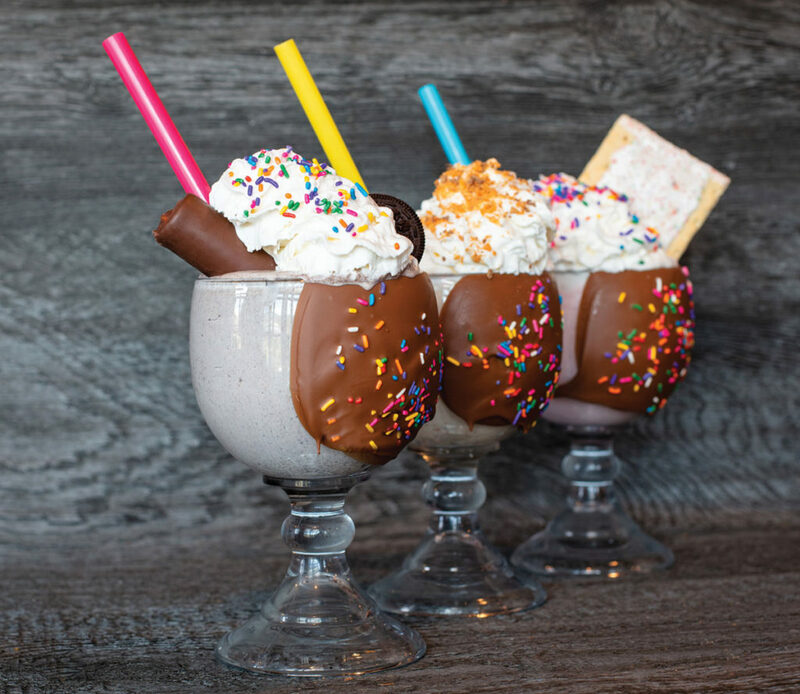 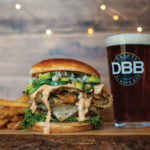 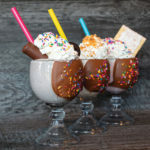 If you are famished after a big day on the slopes, then DBB’s Best of State award-winning burgers will hit the spot, accompanied by one of their monstrous shakes with all the fixings – think sides of Ho Hos, Butterfinger candy bars and Pop-Tarts! 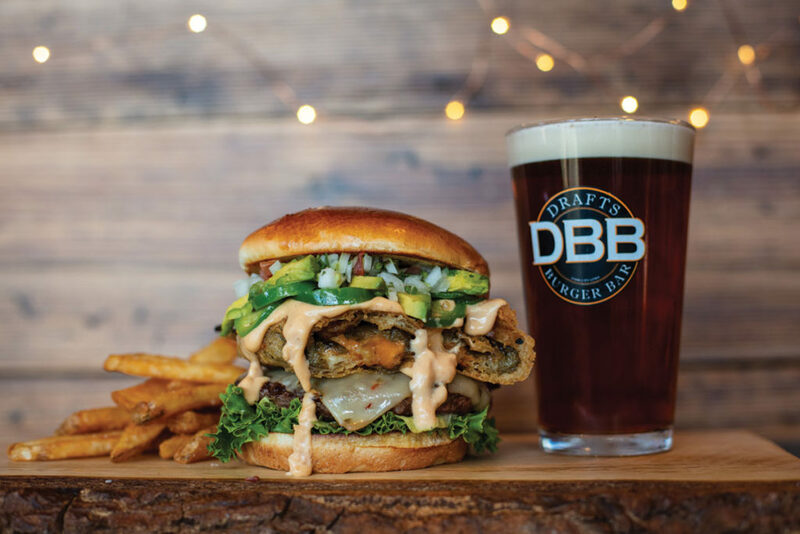 Featuring more than 50 beers and a fully stocked bar, Drafts Burger Bar is also a lively choice for watching a game on big-screen TVs. 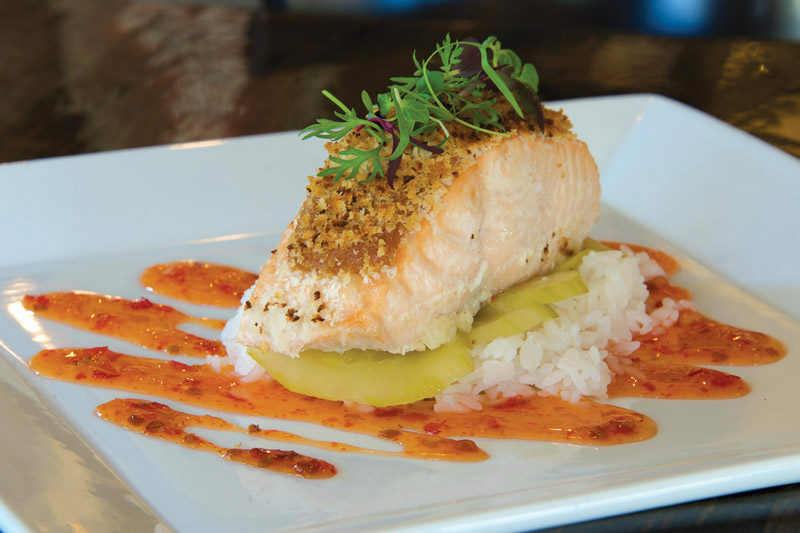 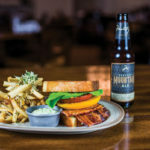 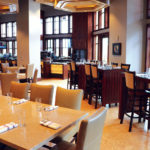 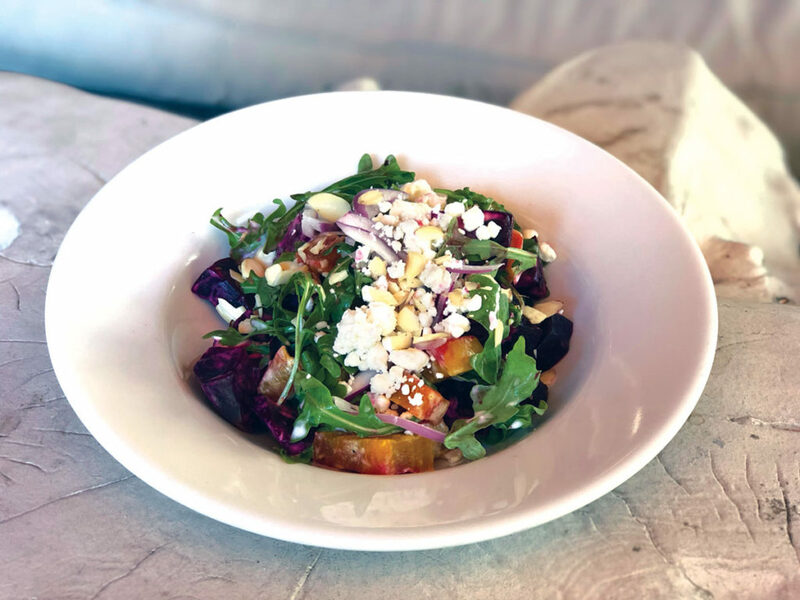 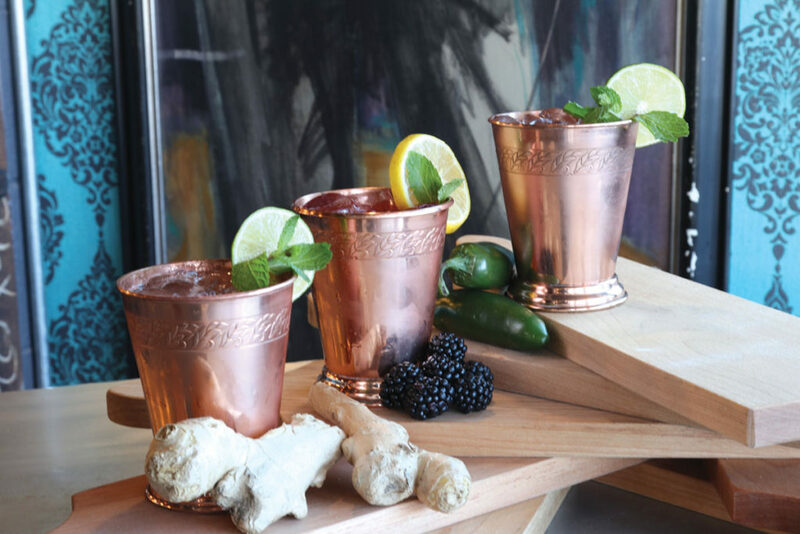 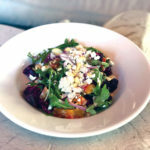 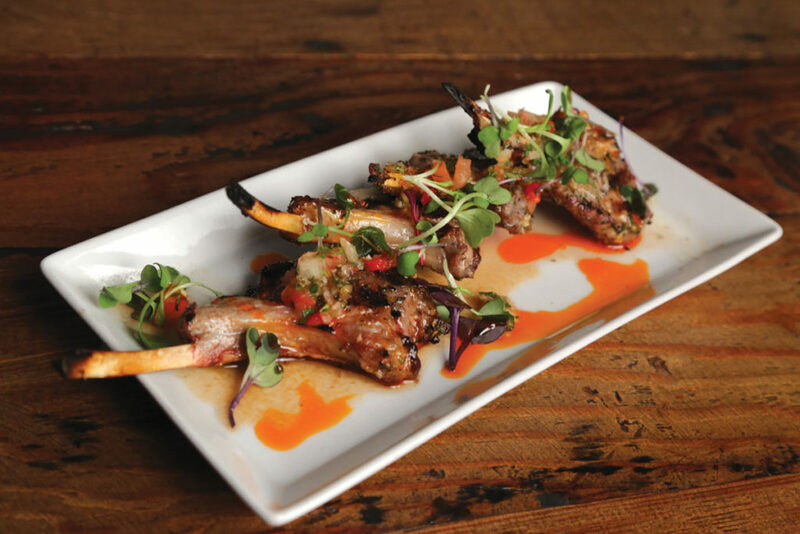 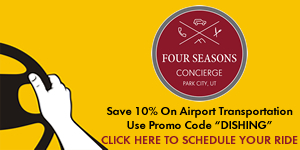 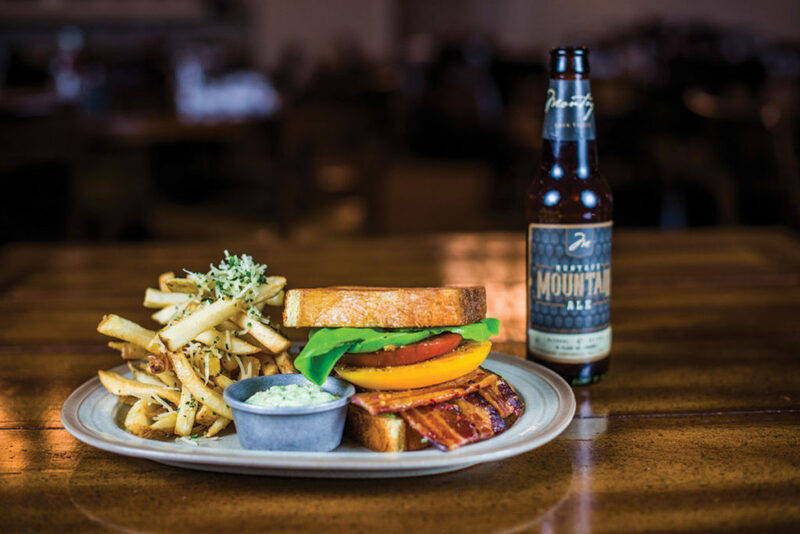 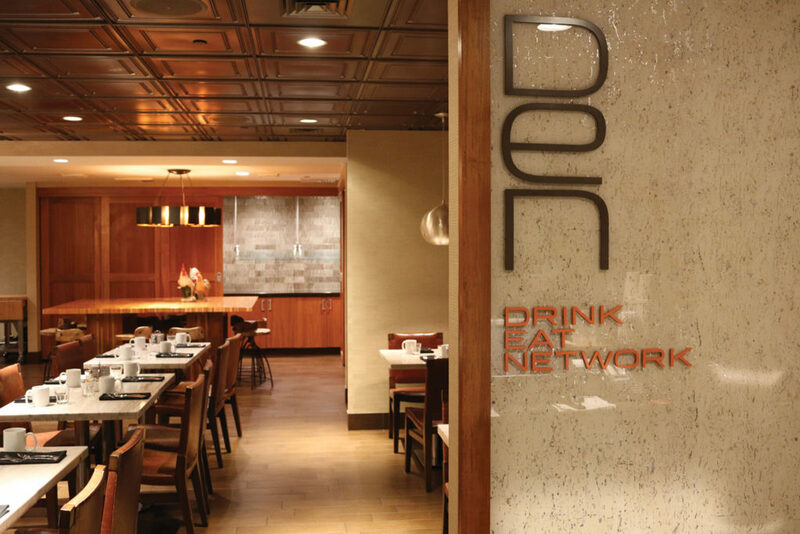 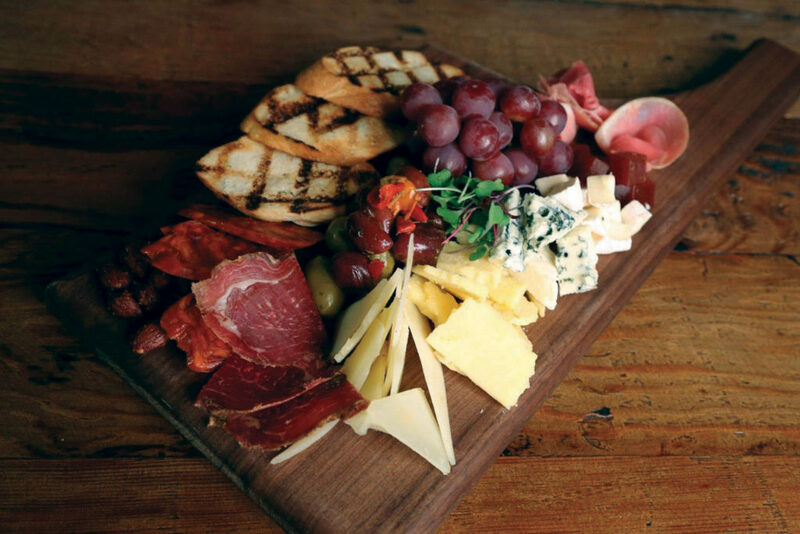 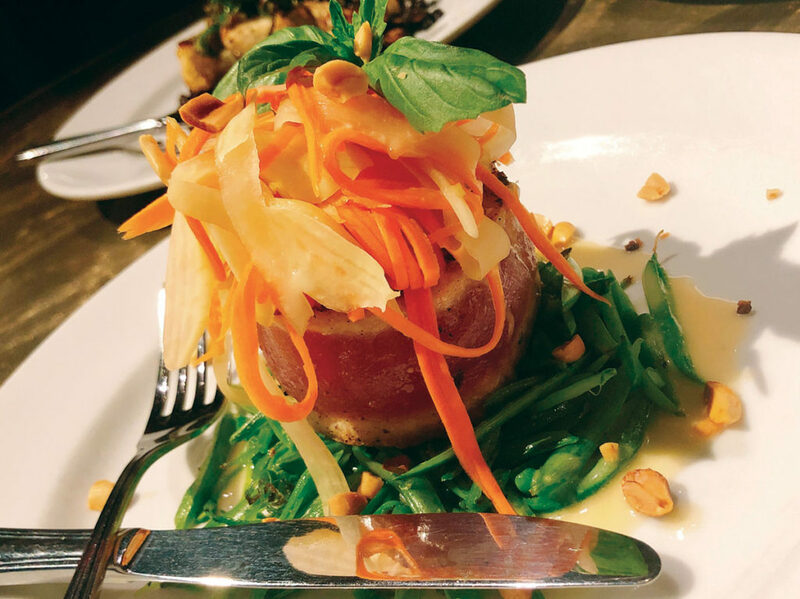 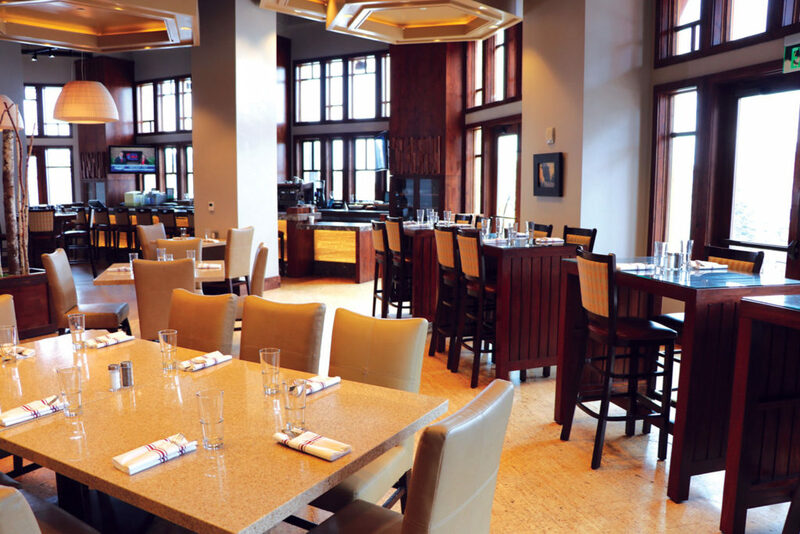 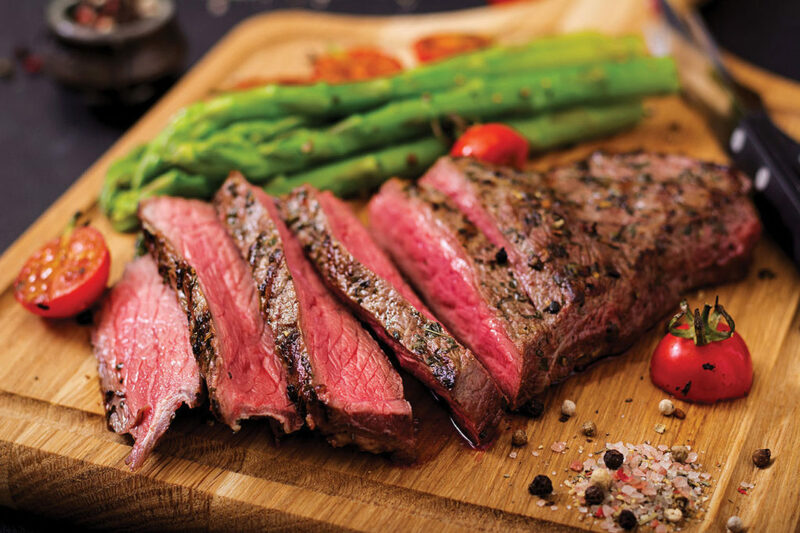 Not all hotel restaurants have a seasonal menu with locally sourced, fresh ingredients, but that is what you will be treated to at EPC, in the Hyatt Centric in Canyons Village of Park City Mountain Resort. 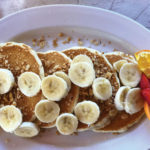 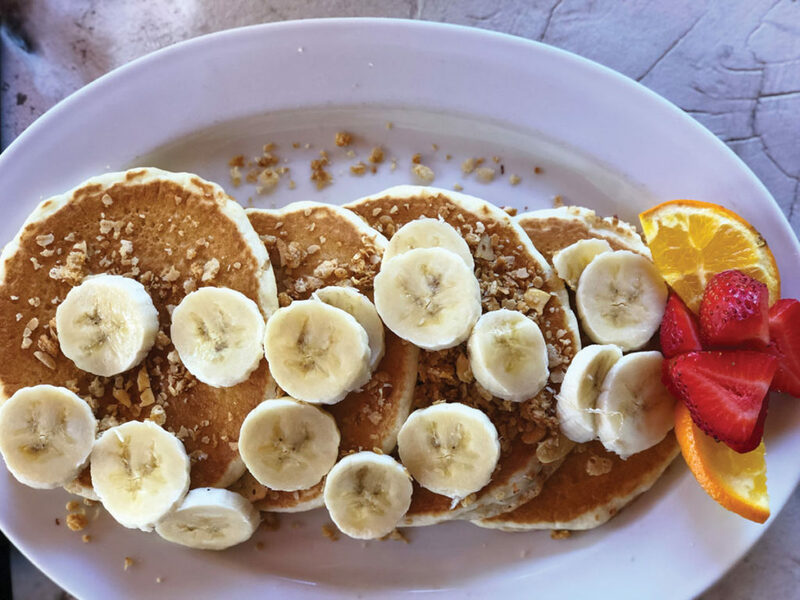 Whether you are an overnight guest or not, this is a great option to refuel post-bike or hike with breakfast, lunch or dinner. 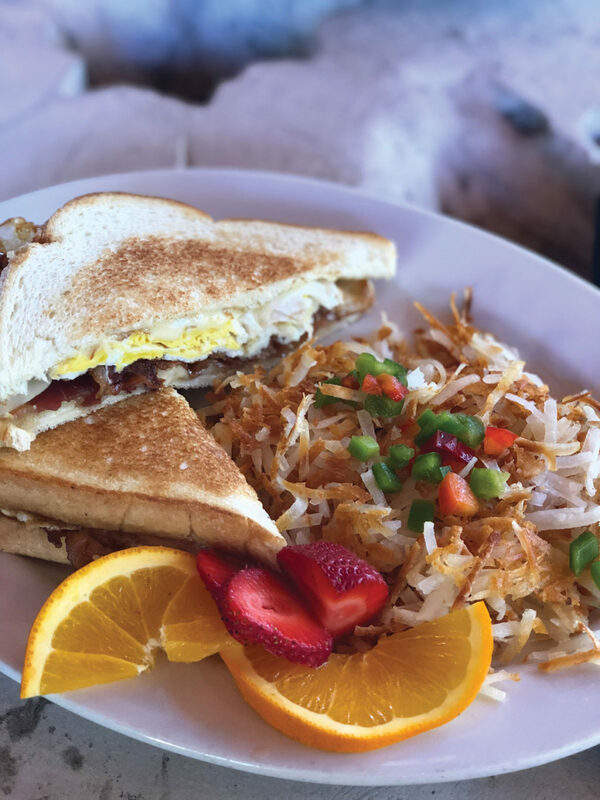 With sweeping views through large windows and a lovely deck, you will want to enjoy the scenery while you wait for the made-to-order French toast or a grass-fed burger. 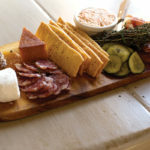 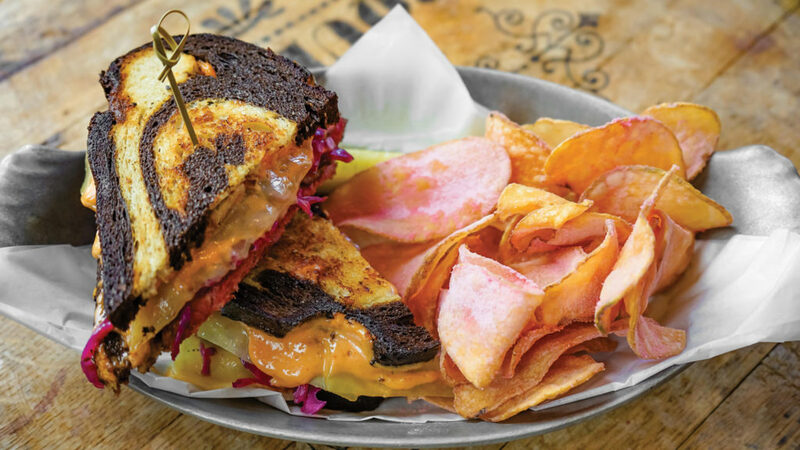 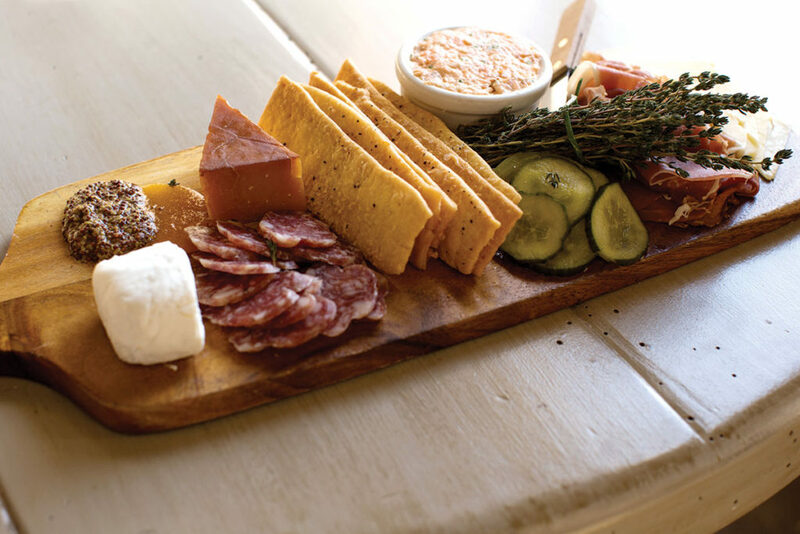 Local cheese will fill your grilled cheese, with added treats like caramelized onions and more. 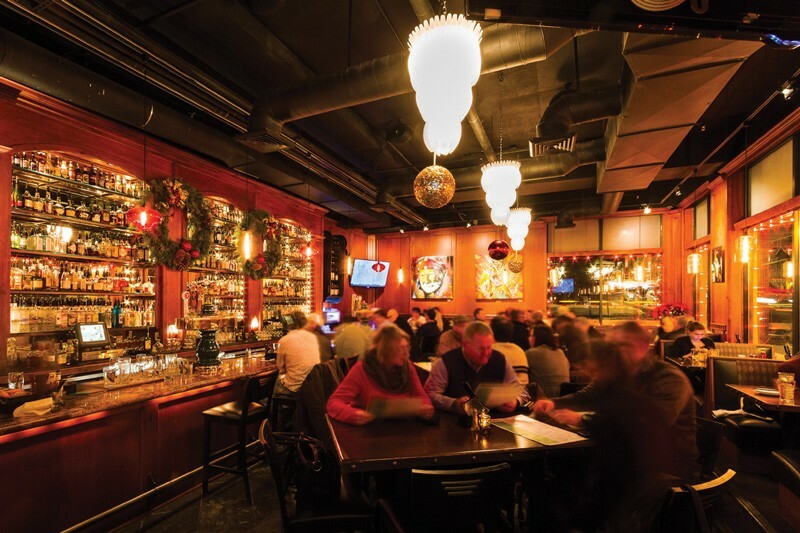 Find regional liquor and beers on tap. 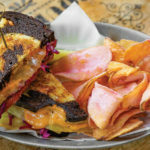 The grab-and-go section at the deli next door is perfect if you are on the run — it’s filled with fresh salads and quick sandwiches in addition to breakfast options. 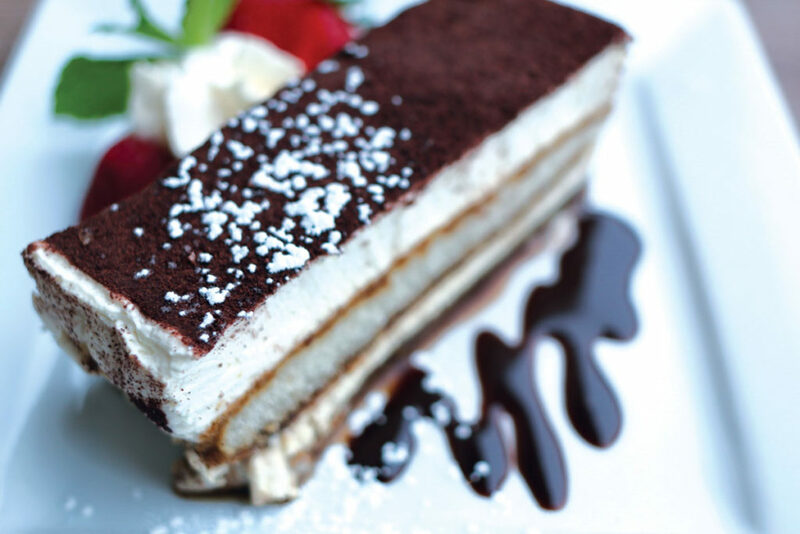 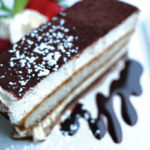 At dinner, try to save room for one of the gorgeous desserts, too.